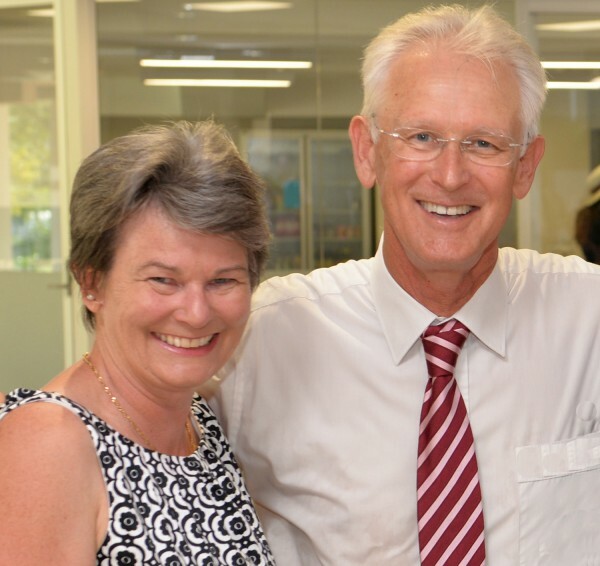 It is with mixed feelings I announce the impending retirement of our Principal, Mr Peter Crawley. Peter has informed me at the end of 2016 he will finish his time at St Hilda’s School as he looks forward to retirement with his lovely wife and life partner Anne. Having had a remarkable career as an educator, academic and leader he leaves the School at a prime time. Peter came to St Hilda’s in 2006. As the first male Principal in our all-girls’ school this was significant. More significant is how the School has grown and gone from strength to strength under his leadership. He has transformed our School in so many ways. Peter has been instrumental in making St Hilda’s a leading school: focusing on values, relationships, academic achievement and technology. He had remarkable vision in seeing the potential of our facilities, specifically in the development of the Senior School Centre and current plans for STEM. This has all been underpinned by a strong set of values. Our School, under Peter’s leadership, is in a wonderful position to continue its positive development. I will be personally sad to see him go, but rejoice in what he has achieved in his 11 years of service to St Hilda’s School. The School Council will immediately begin our journey to engage a Head of School who will work as a part of, and with, our dynamic leadership team for the continued success of our School. Your continued support is appreciated and I look forward to a year which promises to be a busy one. 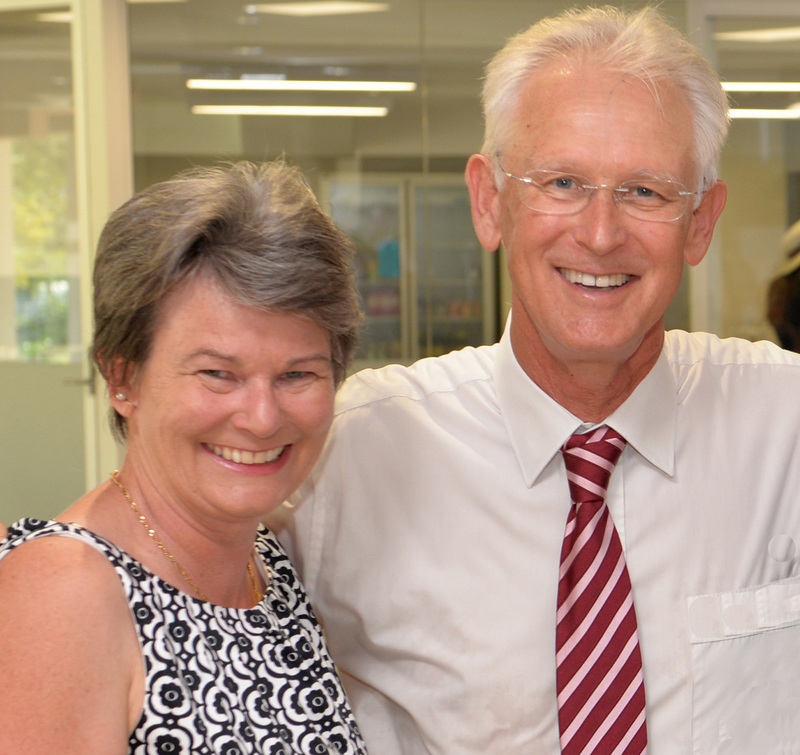 Mr Peter Crawley was appointed Head of School at St Hilda’s School, Gold Coast in 2006. He has been instrumental in making St Hilda’s a leading school: focusing on values, relationships, academic achievement and technology. The culture of acceptance, tolerance and intellectuality fostered under his leadership and the academic and cultural achievement continues to flourish. The implementation of changes in classroom technology, the development of one of Australia’s largest international student exchange programs and significant development projects such as the building of The Centre for Scientific Learning and Research, the futuristic design and construction of a $9 million Senior School Precinct that sets a new benchmark in education infrastructure and technology, refurbishment of much of the Junior School and the Boarding School and improvement of the grounds, have changed the face of St Hilda’s School’s 103-year-old campus. Mr Crawley has been a believer that well-designed teaching space will make a difference to learning and relationships. In 2015 he was invited to the International Coalition of Boys Schools, Cape Town, South Africa, to present a keynote on the learning implications of school architecture. He also has pursued a personal commitment to being ever present around the school, visiting classrooms daily and greeting students at the start of each day. In 2012, Mr Crawley established St Hilda’s Learning Institute, aimed at reaching audiences of keen learners around the globe and in 2014, launched St Hilda’s STEM Institute. Current plans for the redevelopment of the Arts facilities and the building of a centre for the teaching of STEM subjects will commence in his last year of service. Mr Crawley holds a Bachelor of Arts (Hons) and a Diploma of Education from Flinders University, a Master of Educational Administration from the University of New England and a Graduate Certificate in Theology from Charles Sturt University. He is a Fellow of the Australian College of Educational Leadership (Vic). His teaching career began in 1977 at Augusta Park High School, in South Australia. In 1978, he moved to Prince Alfred College (PAC), in Adelaide, where he held a number of positions until 1989. These included Head of History and Assistant Senior Resident Master. During his time at PAC he spent a year at Felsted School, in Essex, England. From 1990-92, he worked at Ballarat and Clarendon College, as Deputy Principal, moving in 1993 to Trinity Grammar School, Kew, as Headmaster. While Headmaster at Trinity he introduced one of the world’s first student-managed personal computing programs. This attracted the attention of Microsoft in the US who selected Trinity Grammar, Kew, as the best world example of educational innovation in the field of technology. Microsoft produced and distributed worldwide, a film about the school and its ideas. In 1995, Mr Crawley approached Microsoft to host and fund a conference of educators with an interest in the use of technology in education. Subsequently, he spoke at the conferences held in Seattle, Atlanta and Brighton (UK). International keynote addresses followed in South Africa and New Zealand. In 1995 he was invited to Japan to speak to the Board of Toshiba about the implications of the use of technology in schools. Microsoft adapted the school’s “anytime any place” approach to how technology might integrate with traditional teaching and learning into the Microsoft’s “anywhere anytime learning” initiative. In 1996 Mr Crawley received a personal letter from Bill Gates, the Chairman of Microsoft, thanking him “for showing Microsoft and educators worldwide what can be achieved when a dedicated team is in pursuit of a noble vision… and your message will be an important guide to the many American schools who will embark on a program to duplicate what you have achieved at Trinity”. In 1999, Mr Crawley moved to Knox Grammar School, Sydney, as Headmaster after which he became Managing Director of Creative School Management, an educational publishing and consulting firm that was sold in 2010. During this time he wrote and published a management newsletter subscribed to by more than 150 independent schools in Australia and beyond. He also wrote successful books on school boards, and staff evaluation, and created processes on school strategic planning that were at the heart of the consultancy. Above all Mr Crawley will be remembered by students, parents and staff as a Head who truly valued the worth of every person and encouraged all students to have their own voice and deliver it with grace and compassion.